Diseases are very much a part and parcel of life as we know it on this planet. Despite that, there is an unwillingness to confront them in their devastation and suffering, unless they are afflicted themselves. It can be argued that this near-universal reluctance to engage with diseases on a more compassionate level boils down to increasing human apathy over countless millennia. Psychology, sociology, and human ethics are fascinating disciplines in their own right, and they would elaborate on this great dilemma of diseases knowledgeably. However, this article would like to make the role of cinema pertinent in this discerning matter, as it deserves. Cinema, when presented in an aesthetically pleasing way, appeals more to us than perhaps any other known art form. When one chooses to watch a creative endeavour onscreen, they surrender themselves to flights of fancy. Of boundless possibilities. There have been movies made about pompe disease, lou gehrig’s disease, lyme disease, alzeheimer’s and many other horrible diseases. When works with such power choose to confront and analyse a dilemma such as all the diseases in the world, they guide us, the viewers, in knowing about them, and if it is great cinema, they also help us in empathising with those who suffer. This is true especially for those who are agonised by horrendous afflictions, removed from the typical and mainstream which are excruciating in their own way. To inspire such humane insight is beyond mere words. To instill a sense of awareness without any bias is a noble aim. 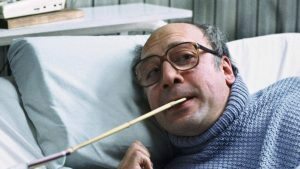 The following is the list of top movies about diseases do just that. Some of these films are about disease outbreak, whereas others are about infectious disease. You can watch some of these disease movies on Netflix, Hulu, or Amazon Prime. ‘Music by Prudence’ focuses on Zimbabwean band Liyana, and its inspirational members. Prudence Mahbena is Liyana’s founder, from whom this documentary short takes its name. Prudence was born disabled, and in her village, any and all diseases and disabilities were considered to an ill omen. Children suffering from such disorders and diseases were mostly abandoned, with the villagers unable to get out of their myopic mindsets. This was indeed the norm, until Prudence came along. She formed Liyana with seven other brilliantly talented members, all of whom were either born disabled or suffered from serious diseases such as muscular dystrophy. 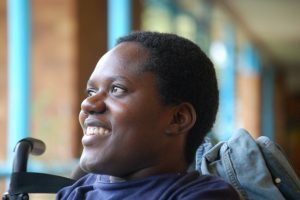 Through their soul-stirring performances, Liyana inspired those very people who had rejected them before, and showed to the world that, in Prudence’s own words, “disability does not mean inability.” Directed by Roger Ross Williams, ‘Music by Prudence’ won numerous accolades, including the 2009 Academy Award for Best Documentary (Short Subject), all deservedly so. Diseases don’t always consume our lives in the way we think they will. Sometimes diseases take away those aspects of one’s lives which seem so far-off, and yet lives are changed forever. ‘Broken Circle Breakdown’ is a highly acclaimed Belgian production that focuses on Elise (Veerle Baetens) and Didier’s (Johan Heldenbergh) remarkable relationship filled with elation and fraught with devastation. Director Felix van Groeningen portrays a deeply evocative chemistry between the leads who fall for each other amidst the soothing strains of bluegrass music. Tragedy befalls in the form of cancer when their six-year-old daughter is diagnosed. The intricate development of their changing relationship amidst disease and disaster makes for compelling cinema. Amitabh Bachchan steals the show in this heartfelt film from R. Balki as 12-year-old Auro who suffers from progeria. It is among the rarest of diseases, arising from a genetic incongruence, that accelerates the ageing process in the sufferer. Bachchan’s painstaking turn as the innocuous child who poignantly finds himself out of time as he tries to reunite his estranged parents makes for some serious, if slightly melodramatic cinema that makes sure to highlight the calamity of progeria, and indeed, other such diseases. Diseases on a personal level are horrifying in their details, but diseases on a global scale are catastrophic. Steven Soderbergh showcases his usual debonair filmmaking through this medical thriller/disaster film. Consisting of a terrific ensemble cast including Marion Cotillard, Laurence Fishburne, Matt Damon, and Kate Winslet, among many others, ‘Contagion’ centres around the spread of a deadly meningoencephalitis virus, its chaotic impact worldwide, and the public health efforts to curb and treat it. 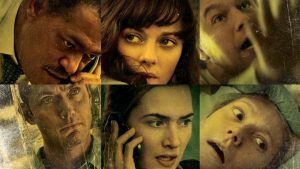 Steven Soderbergh uses his star-studded cast to convey multiple stories simultaneously through his patent hyperlink cinematic technique. His portrayal of how the virus is analysed, its origins through the use of fomites and R0 (basic reproduction number of an infection) was widely praised, as was his depiction of the collapse of social structures upon the outbreak. 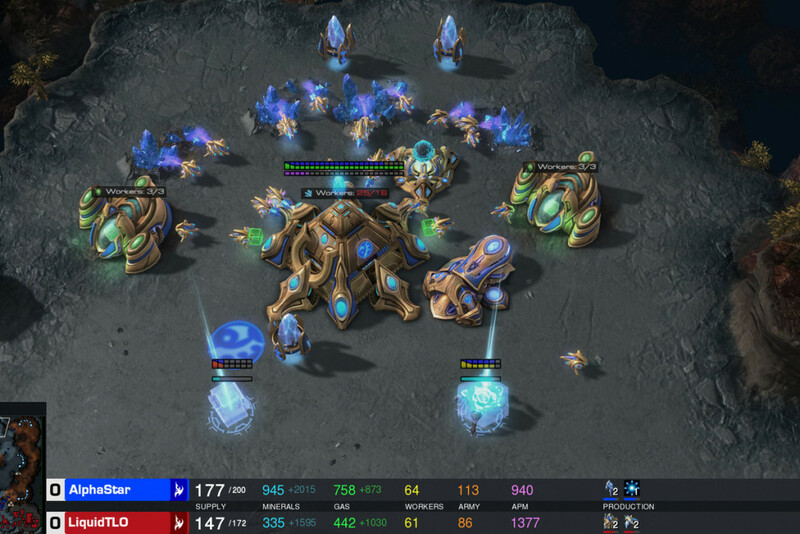 This is a thrilling watch from start to end. 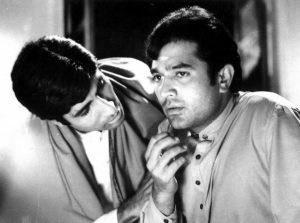 Hrishikesh Mukherjee’s ‘Anand’ cemented popular Bollywood superstar Rajesh Khanna’s reputation as a serious actor. His heartrending portrayal of Anand Sehgal won hearts and accolades alike, with the film also establishing a certain Amitabh Bachchan as a performer to be reckoned with. Anand suffers from lymphoma in the intestines, a rare type of cancer and among the most painful of diseases. Yet he stays true to his name, jolly and helpful to all around him, refusing to be defined by his wretched condition. With music by Salil Chowdhary that has stood the test of time, ‘Anand’ establishes a wonderfully earnest doctor-patient relationship that inspires genuine empathy in the viewer. 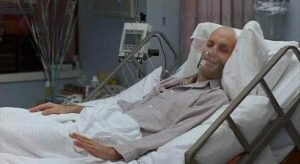 Craig Borten conceptualised, and later refined this award-winning film with Melisa Wallack, after an interview with Ron Woodroof, a capricious, larger-than-life personality who started one of several AIDS buyers clubs in Texas after being afflicted with the disease himself. This was during a time when AIDS was inadequately understood, woefully treated, and rampantly vilified. ‘Dallas Buyers Club’ is a semi-fictional drama chronicling the final years of this unforgettable, much maligned man. 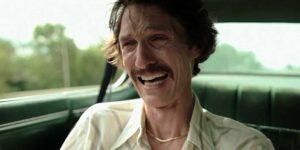 Matthew McConaughey delivers a breathtaking performance as Woodroof as does Jared Leto as Rayon, a trans woman, with both undergoing extreme behavioural and performative changes to prepare for their roles. ‘Dallas Buyers Club’ is a testament to those with indomitable will in the face of life-threatening diseases as insurmountable challenges. Adapted from Jane Hawking’s memoir ‘Travelling to Infinity: My Life With Stephen’ by Anthony McCarten, ‘The Theory of Everything’ portrays a fascinating side to the world’s most famous contemporary physicist. 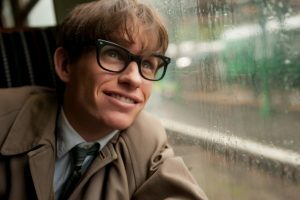 The film mainly rests on the back of an astonishing performance by Eddie Redmayne, who subtly conveys the elation as well as the destruction Stephen gradually underwent throughout the course of his professional and personal life. Hawking’s well-documented diagnosis of amyotrophic lateral sclerosis (ALS), also known as motor neurone disease, has been rife with ableist bias in mainstream discussions. This even extended to his demise just around a month ago. 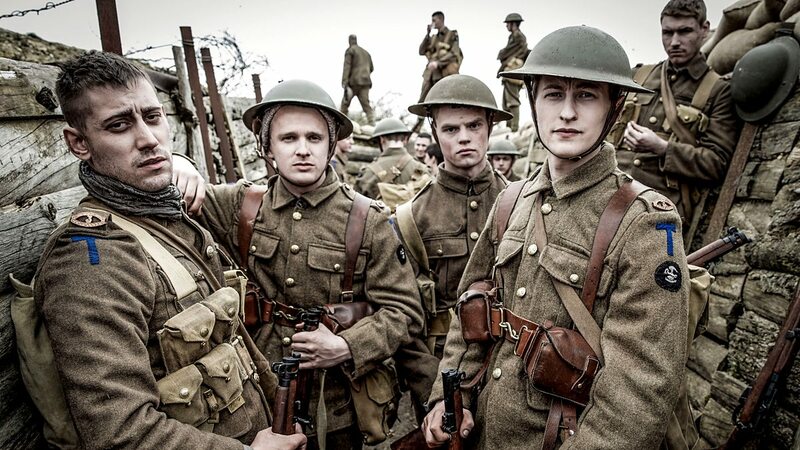 However, James Marsh’s assured direction is mostly bereft of such prejudices, and Redmayne is ably supported by an assertive Felicity Jones as Jane. ‘The Sea Inside’ is based on the real-life story of Ramón Sampedro, who lost the use of all his limbs in a diving accident when he was 25. Javier Bardem delivers a mesmerising performance as Sampedro, underscoring his angst as he is repeatedly refused to end his life by a deluded legal system. With nuanced performances from Belén Rueda and Lola Dueñas, Bardem’s turn as a quadriplegic rises above the slightly histrionic but stirring plot with grace and elegance. Master filmmaker Jonathan Demme (‘The Silence of the Lambs’, ‘The Manchurian Candidate’) infuses several critical issues that plagued, and still plague, human society at large. ‘Philadelphia’ was perhaps the first prominent films to address these issues, and it does so in a marvellous manner. Tom Hanks is a knockout as Andrew Beckett, a hotshot lawyer who’s closeted about both his sexual orientation and his AIDS to keep his job and avoid persecution and rejection from his peers. His wrongful dismissal from the firm sets off an unprecedented chain of events culminating in a thrilling court case. Aided by an initially apprehensive Joe Miller (Denzel Washington) as his lawyer, Beckett is superbly pitted against the many unfounded and prevailing stigmas of the time. Hanks’ moving portrayal gives the crucial themes an essential gravitas and compassion. 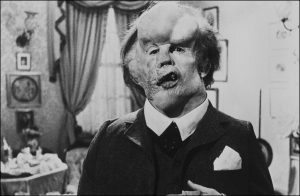 Joseph Merrick’s severe deformities are well-recorded in the annals of English society and medicine. He led a staggeringly onerous life, fuelled by reprehensible behaviour from his parents to his peers, and having had to work under difficult conditions at the Leicester Union workhouse and then, as a human novelty exhibit. David Lynch’s sensitive film affords Merrick the fundamental identity of who he is, instead of who most of the world purported him to be. John Hurt delivers a conscientious performance in the titular role, splendidly supported by Anthony Hopkins and Anne Bancroft. Christopher Tucker’s work on makeup proved to be so astounding that the Academy of Motion Picture Arts and Sciences introduced the Academy Award for Best Makeup as a mark of its failure to suitably honour this film with something similar. ‘The Elephant Man’ is an unabashedly sentimental work, but one that is pivotally generous with its humanity.